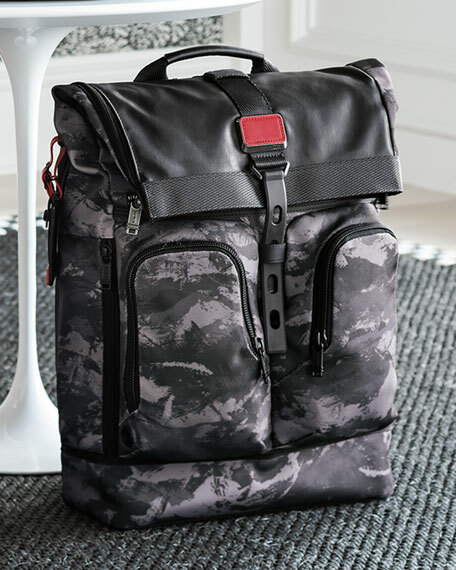 A ruggedly refined roll-top backpack, the London comes in TUMI's signature ballistic nylon, which withstands the wear and tear of everyday use. Holds your laptop, tablet and phone plus enough clothes to get you through the weekend. 14"W x 6"D x 19"T.
For in-store inquiries, use sku #2581676.